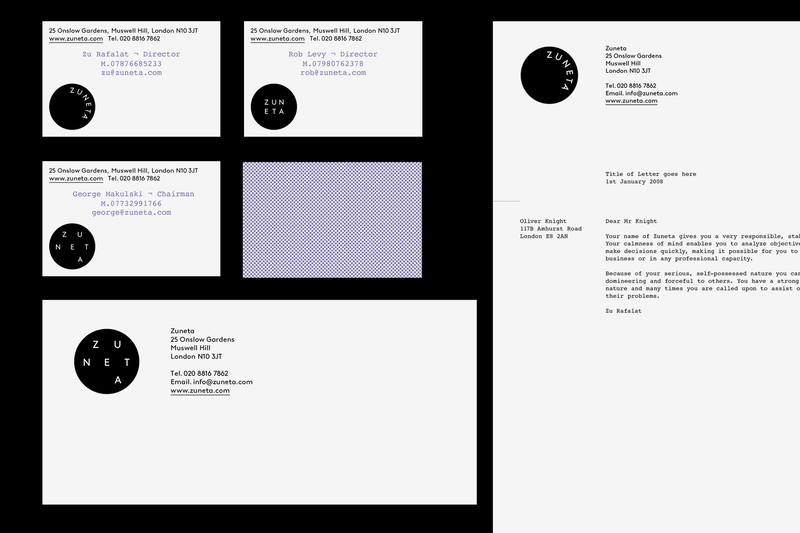 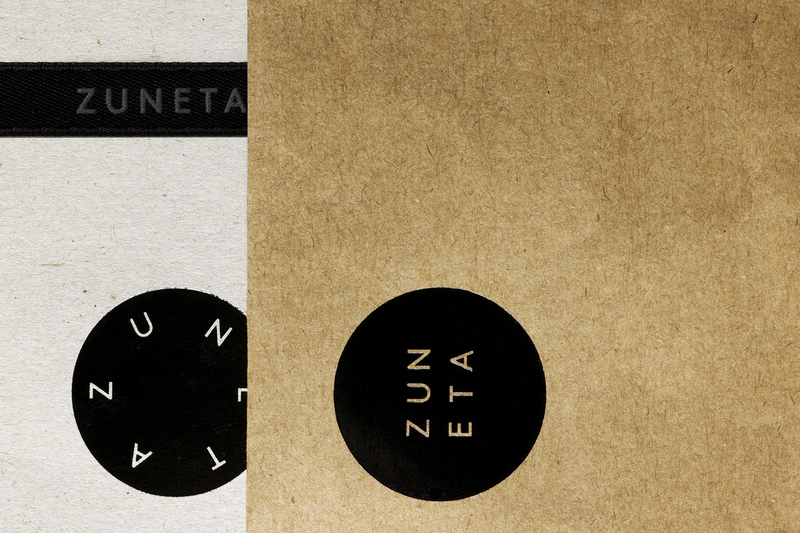 Responsible for the visual identity of Zuneta, an on-line beauty boutique. 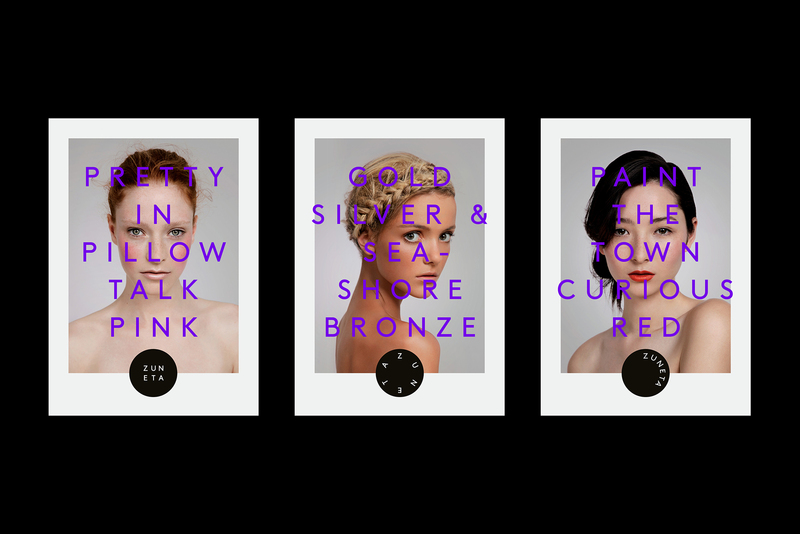 Its aim—to bring clarity to the often over complicated field of beauty retailing, a tailor-made service was set up to meet the needs of the specific individual. 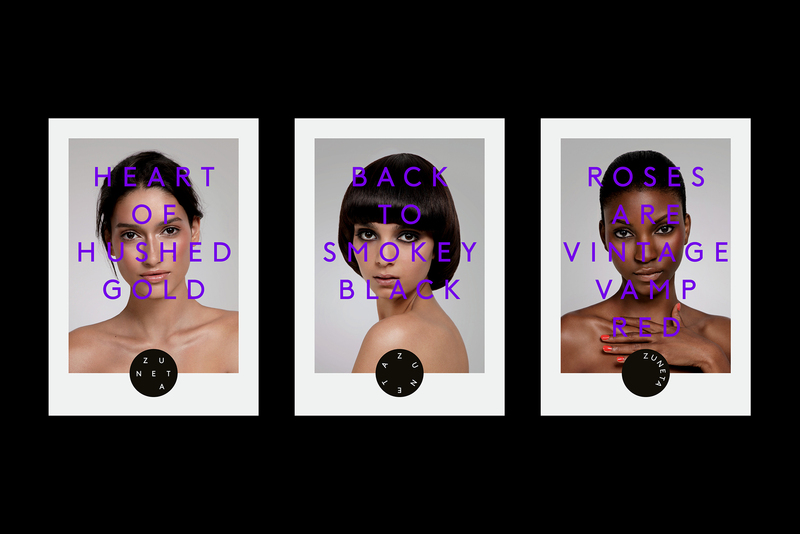 At the center of the brand lies an interchangeable palette of logos, dynamically reflecting the idea of transition; an analogy to the function of make-up. 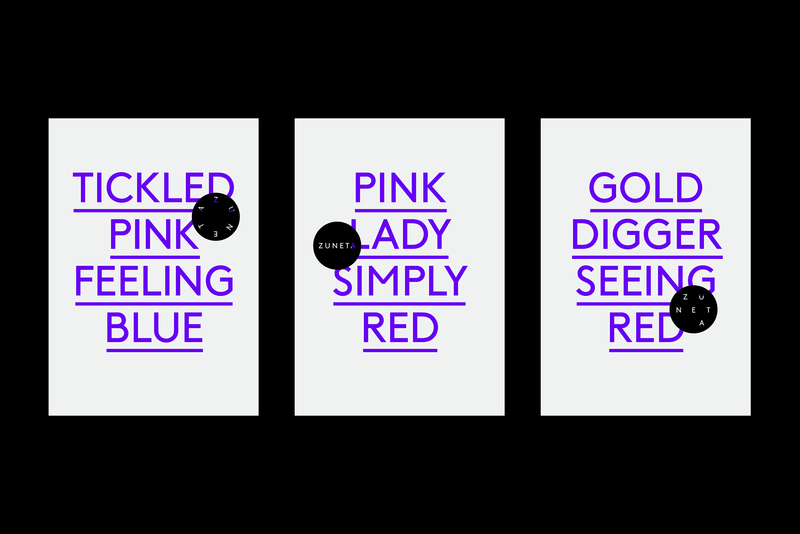 Alongside this a dynamic textual element is introduced creating intriguing statements in combination with a simple yet sophisticated palette of imagery. 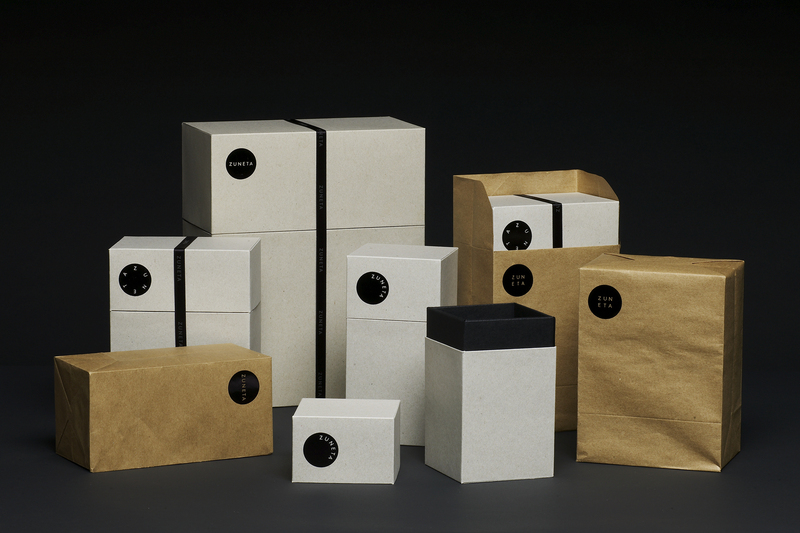 The meeting of functional and luxury values are conveyed through the materiality of all printed items.